When you think of companies with a reputation for treating their employees well; Google, Netflix, Salesforce, PwC, L’Oreal and GE immediately come to mind. You think of them despite never having worked for them nor knowing anyone who does. Importantly because they have succeeded in employer branding. Employer branding is the method which companies utilize to define and establish their stature as an employer. There is a shortage of high-quality candidates and employers compete when acquiring talent suitable for their organizations. Companies are getting creative in enticing the best candidates; building their employer brand by aligning their company culture, values, products, client, employee and candidate experiences. But how are these experiences shared and where do candidates go? 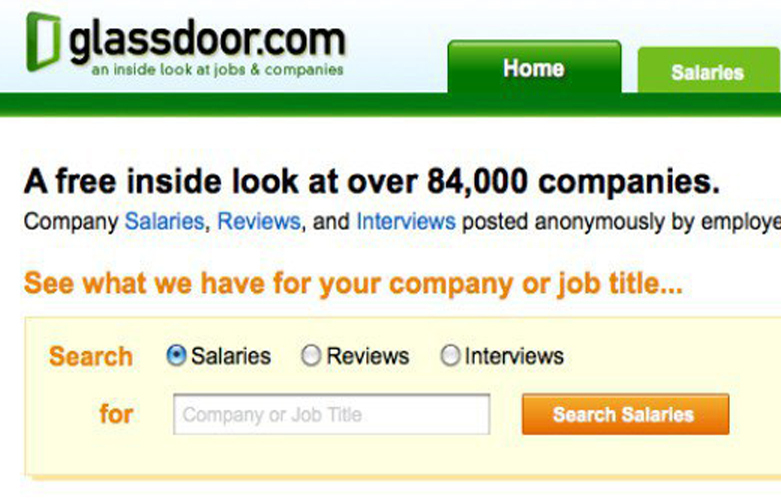 Enter Glassdoor. Launched just 10 years ago, its mission statement is written (literally) on glass doors of their offices to “help people find the jobs and companies they love”. The simplicity of the statement does not reflect the magnitude of impact they have on hiring today. Taking cue from peer-review sites Yelp (for services) and TripAdvisor (for travel), Glassdoor set out to help jobseekers to attain information, beyond what the recruiter tells them, about companies they are potentially about to join. Before purchasing something online, a buyer reads the reviews first. Good reviews will likely sway the buyer towards the purchase while bad reviews will deter them from spending on the product. The same due diligence works for Glassdoor: an unpretentious employer branding site powered by words of actual employees. In fact, a survey found that users read at least seven reviews before forming an opinion of a company. Glassdoor is the most relevant site for job seekers as it is the only place where candidates and employees have a feedback platform. Past and current employees can comment on what the company is really like from the inside; including salaries, benefits, and CEO impressions. Employees usually add their own observation on company culture, work-life balance, and their leaders. For potential hires, Glassdoor is that extra step in their candidate journey when considering an interview or an offer from a company. They know they will get additional insight from the company’s employees that they may not have received from the recruiter and the hiring team. Candidates themselves have a section to comment on their experiences too. Even employers are granted a way to respond to each review from employees and candidates; administering a dialogue for the parties involved. Of course, there will be a few disgruntled employees or interviewees writing negative reviews. Those should not be discounted though, as they present an opportunity for an internal dialogue of “what can we do better?”. Organization leaders would do well to embrace Glassdoor when scrutinizing their company as it is here for the long-haul. Glassdoor not only provides an unfiltered view of your staff’s opinions but also enhances recruitment by attracting candidates who appreciate what your company stands for and has to offer. After all, “organizations that invest in strong candidate experience improve their quality of hires by 70%”. Positive reviews on the site even affect revenue since we all know the correlation between engaged, happy employees and their company’s profitability.